Grace and comfort come together to create a beautiful sculptural look that is trendsetting in both form and function. The PuraVida collection brings a sensual design and innovative, water-saving technology into your bath. This single-handle PuraVida 110 bathroom faucet features a joystick-style lever handle and a laminar spray that adjusts up to 16 degrees. 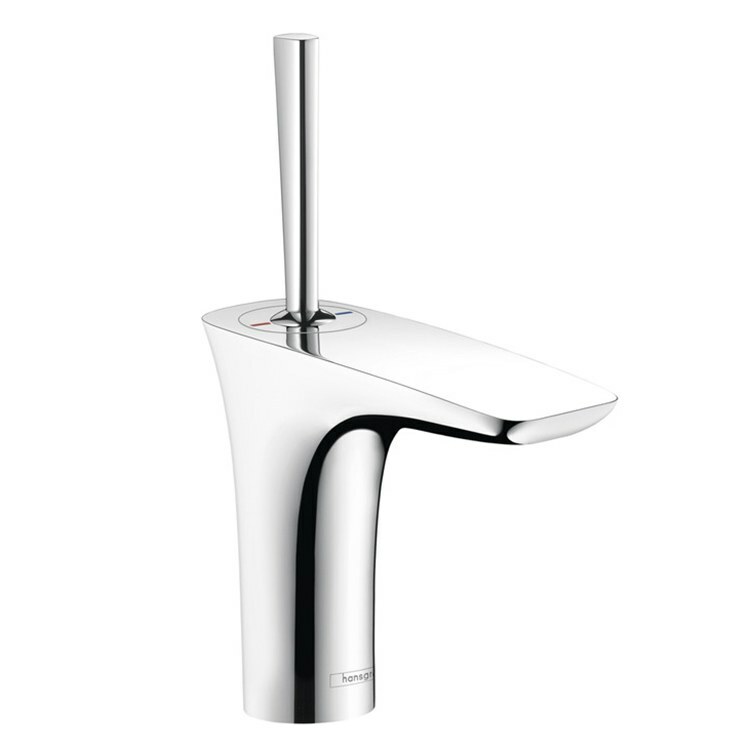 The faucet measures 8-5/8" high with a 4-1/2" spout reach. Mounts in single-hole applications in decks up to 1-5/8" thick. Hansgrohe stands for quality and expertise. Based in Germany, Hansgrohe is a trendsetter in research and development in the kitchen and bath industry. Masters in the art of engineering and quality craftsmanship, the company attracts globally successful designers as well, winning awards for its beautiful designs from all over the world. The company is committed to sustainability, the environment and climate protection as part of its corporate mission. We offer a 30-day SATISFACTION GUARANTEE. If you receive a damaged or defective item or you are dissatisfied with a product for any reason, you can return it for an exchange or refund within 30 days. See our full refund/return policy. Large job or hard-to-find item?